Everybody wants a brighter smile; a smile can be the first thing others notice about you. Teeth Whitening can remove discoloration and stains caused by tobacco, food, beverages and internal pigments. At the Quadrant Dental Practice we offer the home whitening kit which is a tray system. The patient wears a thin close fitting mouth guard containing the bleaching gel for between 30 minutes up to 8 hours. The treatment takes between 10-14 days. 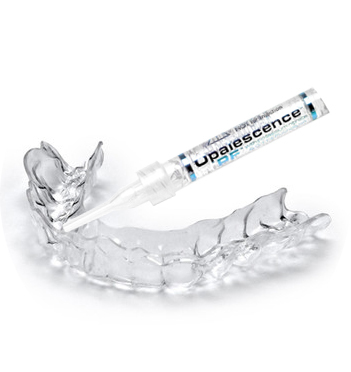 The major benefit of this system is that you are in control of the final outcome and your trays can be used over and over again to keep your teeth as white as you wish. Please contact us today for your free tooth whitening consultation.